Southern Chateau: Happy Easter to All! 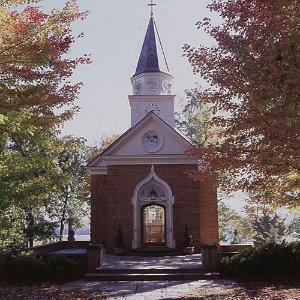 Kluge Chapel, a private chapel which overlooks vineyards on an estate in Charlottesville, Virginia. Oh my heavens, what a picture perfect postcard. I would love to see this with snow all around as well. Thank you, and I hope your Easter was wonderful. Yes, it is beautiful, Tina! Can you imagine having something so beautiful on your own property? Thanks for the Easter wishes. Time with family always makes me happy. Welcome to the Southern Chateau, where my love of beautiful, classic design is showcased. A combination of old and new, high and low, simple and luxurious. If you see something here on my blog you are interested in, just contact me at carol@carolraley.com - I can most likely get it for you! Thanks for stopping by - and be sure to visit my business Web site: http://www.carolraley.com/! Interior Designer with a Southern sensibility and a French flair! You Need a Slipper Chair in Your Life! Exciting Things in the Works! Kenneth Brown Came for a Visit!! A Little Vendor Love: Currey and Co.